We have done our best to translate these pages to English, but we are of course aware that English is not our first language and that there may be mistakes and unfortunate formulations that detract from the contents. We are therfore looking for someone with a keen interest/qualifications in the field of anatomy, who is interested in working with us on improving the pages. 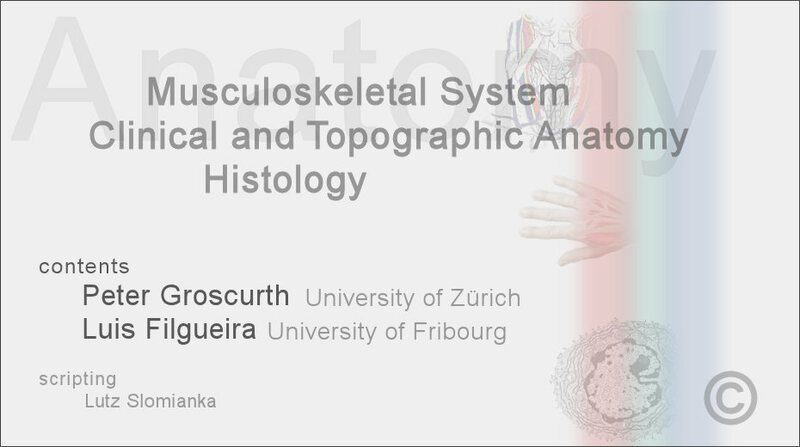 If you are interested please contact Prof. Peter Groscurth (gc@anatom.uzh.ch).